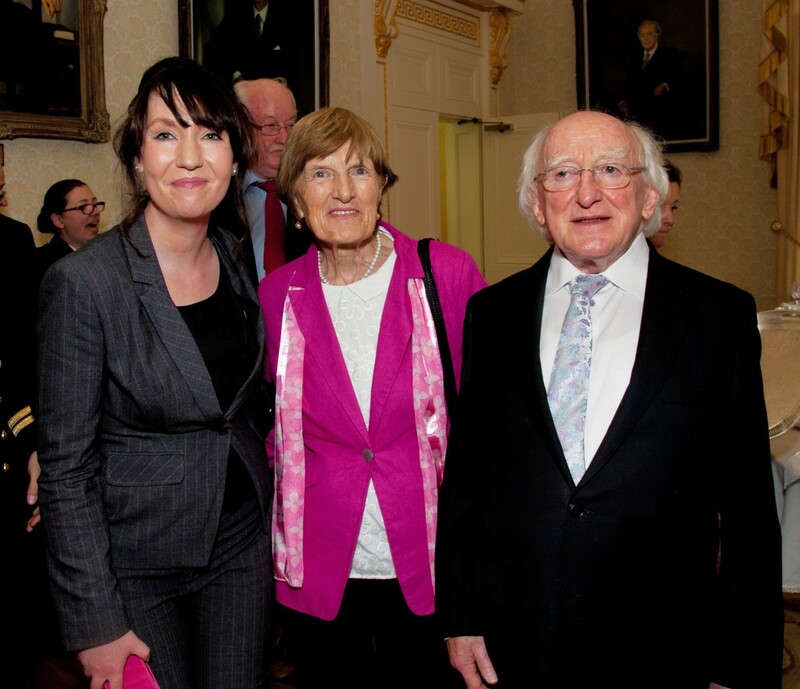 Dundalk will miss distinguished community radio broadcaster Vanessa Ryan. 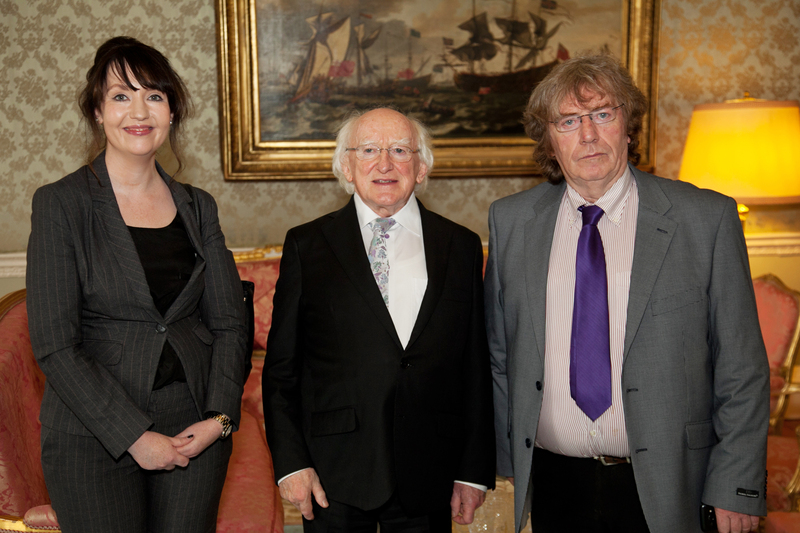 Vanessa was part of a group from Dundalk FM who were hosted by President Michael D Higgins at Áras an Uachtaráin to celebrate Community Radio contributions to public discourse. Pictured with Vanessa is Sean Callaghan. CRAOL – 20th Anniversary. Pic Paul Sherwood. TRIBUTE VANESSA RYAN DUNDALK F.M. The sudden death of our esteemed employee and colleague Vanessa Ryan R.I.P came as a great shock to us all when the news broke on Friday morning last. 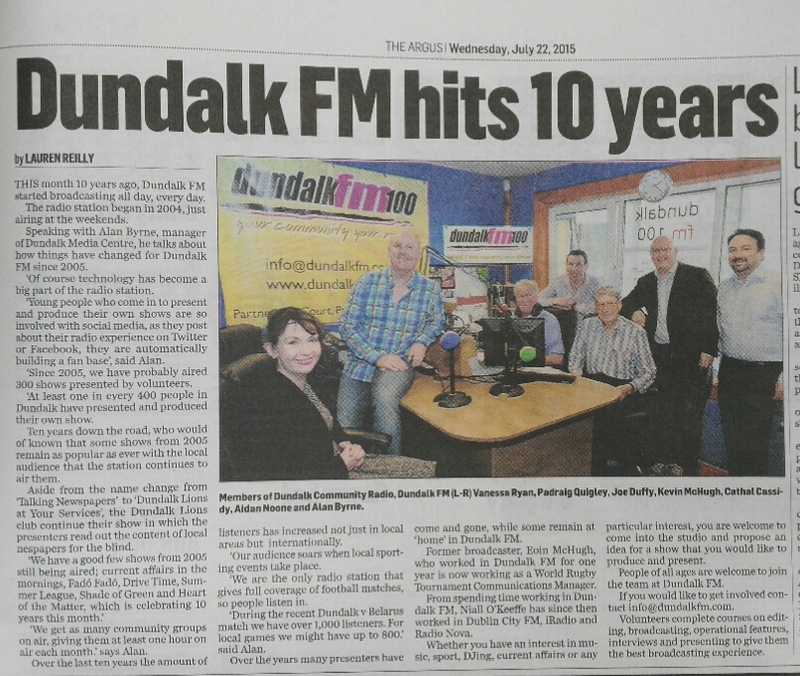 Vanessa joined Dundalk FM as a volunteer in 2003 and presented a weekly programme entitled ‘Time Detectives’ each Saturday lunchtime at 12pm. Vanessa’s background in Archaeology gave her the opportunity to talk to national and international experts and to educate listeners about the wealth and varied history of North County Louth. Vanessa helped to progress the development of local radio documentaries with two successful BAI Sound and Vision applications – ‘Louthiana’ and ‘Geo-Archaeological – Changing Legends to Facts’. Vanessa joined the station as Advertising Manager in June 2015. With Dundalk F.M she demonstrated a wide range of skills and set targets which will be very difficult to follow. Her excellent written and verbal communication skills , her ability to work independently , her skill at multi-tasking effectively and her pleasant personality made her the ideal “face on the road” for Dundalk F.M. Her ability to communicate effectively with Advertisers saw an increase in Revenue and most of her new business customers continued to advertise with the station. She served diligently as a Member of the Finance Committee on Dundalk F.M. In the office her honesty and integrity in her financial dealings with Dundalk F.M were exceptional and she presented an engaging presence in following up Advertising arrears. Her value as a friend among her colleagues was obvious to all and the staff were heartbroken when they heard of her unexpected passing. Vanessa had also contributed many hours as a researcher for well documented articles from an early age. Her education shone through like a beacon and any project she was associated with was flawless, indeed such was her professionalism and pursuit of excellence that many projects were enhanced greatly by her contributions as a researcher, producer or presenter. She had an excellent rapport with the many constituents served by Dundalk F.M including clients, Directors, Volunteers other staff members and also with all our listeners. Her recent decision to follow in her father’s footsteps in local politics had just been announced recently and no doubt Jim would have been delighted to see Vanessa follow his example and serve her local electorate with the same dedication and passion at all times. While we here in Dundalk F.M will miss her presence terribly her family will have to continue on without that smiling face greeting them on a daily basis. Both her daughters, Isabella and Ayda, her parents Jim and Ann, sister Carol, brothers John and partner Ciara and Stephen and partner Stephanie, husband Florian, mother-in-law Myrian, father-in-law Didier, brother-in-law Stephen, nieces Rosie and Phoebe, aunts, uncles, relatives and friends will find a huge void in their lives following her sudden passing. The Board of Directors, Staff, and Volunteers of Dundalk F.M have lost not only an employee but a valued friend and colleague and all connected with Dundalk FM offer sincere condolences to the family. Vanessa’s influence on broadening the diversity of programming available on Dundalk’s community radio service is treasured. She made her father proud with her knowledge and presentation style when she stood in for him as presenter of Classics Sounds. A local history programme about the townlands of County Louth ‘From the Border to the Boyne’ featured an episode in which Vanessa explained the importance of the Knights Templar. Vanessa will remain part of the fabric of Community Radio in the memories of the many friends she had at the station and through the audio archives of her programmes.